Witnessing the disruption that the Financial Technology (FinTech) community has brought to the banking and finance industries of the world’s largest economies, leading traditional banks in the Philippines are welcoming FinTech companies to inspire collaboration in making financial transactions more efficient and consumer-friendly. FinTech companies thrive on a culture of innovation. They create new software to improve functionality of financial services and replace outdated processes that are costly, highly susceptible to fraud, and not readily accessible. For the last few years, the Philippines has been seeing a favorable increase in the number of local and foreign investors setting up FinTech startup companies in the country. And traditional banks are acknowledging their potential to transform market dynamics and methods of doing finances by looking for the next most promising FinTech company to partner with. Majority of Philippine-based FinTech companies provide digital payments and mobile wallet services, with Coins.ph and Tagcash leading the group based on market penetration and consumer preference. Ayannah, the top player in digital remittance, is leveraging the power of technology to provide affordable access to financial services to the financially marginalized and unbanked sector in the Philippines. The most disruptive area in FinTech that’s slowly changing the financial industry’s business landscape is blockchain/cryptocurrency, with the most promising players Abra and PDAX offering cryptocurrency trading and investment services using blockchain technology. Well-known companies in alternative finance/microfinance like Tala and Cashalo provide online cash loans and alternative digital lending options for Filipinos in need of quick and affordable personal loans. FinTech companies that offer payroll/HR services utilize cloud-based HR and payroll software, with Sprout Solutions and Taxumo providing the most comprehensive digital products to help enterprise businesses acquire access to advanced software solutions. The banking and finance industry is among the last areas of business to see disruption from digital innovation. Though the industry is still highly regulated, the central bank of the Philippines, the Bangko Sentral ng Pilipinas (BSP), is slowly recognizing the potential of FinTech companies in making financial transactions more secure, efficient, and accessible. Thus, it issued special regulations, the BSP Circular No. 942 and 944, and created a specialized unit, the Financial Technology Sub-Sector (FTSS), to closely monitor the country’s growing FinTech community. The BSP Circular No. 942 is targeted to improve monitoring of FinTech companies engaged in remittance, money changing or foreign exchange dealing. BSP Circular No. 944, on the other hand, was issued to govern the operations and reporting obligations of those offering virtual currency exchanges or engaging in activities that provide facility for the conversion or exchanges of virtual currencies. BSP also requires for additional licensing to allow FinTech companies to operate as a financial institution, non-financial institution or a lending company. At present, it is adopting a “regulatory sandbox” approach where it observes actual operations of FinTech companies and drafts appropriate regulations in response – so it can promote innovation while ensuring risks are properly mitigated. World Bank’s 2017 Global Findex Report, an annual publication that measures financial inclusion across more than 140 countries around the world, states that 41% of adults in the Philippines do not have bank accounts because financial institutions are too far away, while 45% cite that documentation requirements hamper their chances of owning a bank account. Additionally, more than half of the country’s population live in rural areas, away from banks and financial service providers. In these areas, access to physical banking infrastructures is difficult. FinTech companies leverage the power of mobile phones to allow people with no bank accounts to acquire access to financial services like digital payments, money transfers, personal loans, and other mobile-based services without visiting a bank or service center to complete a transaction. Hootsuite, a US-based social media management platform, released its “Digital in 2018” report that discusses the state of digital adoption across 239 countries in the world. The report states that as of January 2018, the Philippines has 62 million active mobile phone users – with an internet penetration rate of 63% from its total population of 105.7 million. The data above enables the country to have one of the biggest digital populations in the world – making it an excellent launchpad for FinTech startups looking to develop their products and services in a country with positive reception towards digital innovations. The same report yields that 74% of Filipinos think digital technology brings more opportunities than threats, while 63% find it more desirable to use technology to complete tasks, and 28% consider mobile banking a more convenient means of doing finances. Moreover, according to InMobi, a global provider of enterprise platforms for marketers, the Philippines is the fastest growing app market in Southeast Asia. According to the Philippine Statistics Authority, the country’s current labor force size is 43.3 million. Of these, around 26.9% belong to the age range of 25-34 years old – the demographic of the millennial generation that grew up during the founding years of digital technology and now living in an increasingly digital environment. Tech hubs like Silicon Valley and Singapore are notable for having young entrepreneurs and a millennial workforce. Top tech talent from around the world flock to these hubs to find employment opportunities from startup companies with the most disruptive and innovative digital platforms. But the saturation of top talent in these areas make it difficult for some companies, especially the new ones, to attract ideal candidates when they have to compete with more established enterprises. A common strategy that many startup companies employ is sourcing for top talent in other locations with lower labor costs (such as the Philippines). They hire candidates from these locations who have the same skill sets and motivation as those from the Valley and mentor them to be at par with the latter – which helps them save up time, labor costs, and resources in acquiring the ideal candidates they want to add to their organization. There is a wide availability of funding from local and foreign venture capitalists in the Philippines, with Kickstart Ventures and Future Now Ventures having some of the largest portfolios of early-stage funding for FinTech startup companies with the most potential to scale and grow their valuation. Kickstart Ventures invests in digital startups, from seed-stage to post-Series A – offering access to capital for early-stage innovation. Coins.ph and Sprout Solutions are among the successful startup companies they provide rounds of funding for. Future Now Ventures is a boutique venture capital firm that focuses on early-stage startups that develop cloud, mobile, and enterprise technologies and services. It invests in some of the most disruptive startup companies in the Philippines, such as Kalibrr, FlySpaces, and loansolutions.ph. The Philippine government provides tax incentive schemes as a means to encourage foreign investments in key areas of development, granting regulatory power to the agencies of the Philippine Economic Zone Authority (PEZA) and Board of Investments (BOI) to administer fiscal and non-fiscal incentives to qualified enterprises. To be entitled for incentives from PEZA, companies are required to locate their office locations in one of its Special Economic Zones (SEZs). BOI, on the other hand, does not have the same restriction and allows businesses looking to register for BOI incentives to locate their place of business wherever they want. 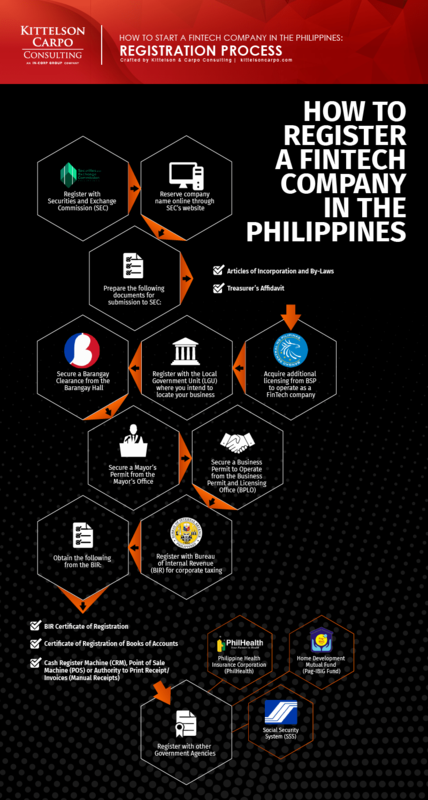 You can view a complete list of PEZA and BOI’s tax incentive schemes here. Venus Angelli David is a Digital Copywriter. She specializes in SEO and technical writing and produces content for websites, marketing collaterals, social media campaigns, and other marketing mediums. She has a knack for simplifying complex information into digestible content for easier comprehension and experimenting with multiple writing techniques to improve her writing skills.